Daily brush hair brush will accumulate a lot of broken hair, which has become difficult to brush your hair, how to clean your brush in a short time? continue this step and know that all the hair remaining in the brush is removed. mixing mixing in the sink, the brush into the immersion. 4. With a toothbrush, brush up and brush your brush up and down each row, as well as all the tops. 5. The brush on a dry tissue paper to dry the water can be. 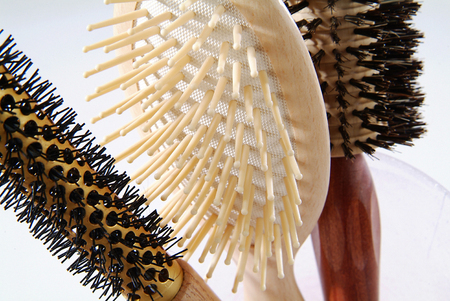 Tip: Do not use a comb or other brush to remove the hair on the brush, this will damage your brush.